DALLAS, TX – November 2, 2017: On Friday, November 17, 2017, The Sixth Floor Museum at Dealey Plaza will open a special temporary exhibit, Mourning a President. The exhibition will close on Presidents Day, February 19, 2018. Mourning a President presents a compelling chronology of the funeral of President John F. Kennedy and his burial in Arlington National Cemetery on Monday, November 25, 1963, in Washington, D.C. The funeral of President Kennedy was our nation’s most elaborate presidential funeral since the burial of Abraham Lincoln almost a century earlier in April 1865. Over the course of eighteen hours on November 24 and November 25, 1963, approximately 250,000 mourners honored President Kennedy, who lay in state inside the Capitol Rotunda. Foreign leaders came from around the globe to pay their respects and to participate in the funeral procession. This exhibit will feature many significant historical objects from the Museum’s collections that include hand-written notes from Mrs. Kennedy addressing the intricate planning for the funeral, a funeral program from St. Matthew’s Cathedral, mass cards, eulogies and special editions of newspapers and magazines. 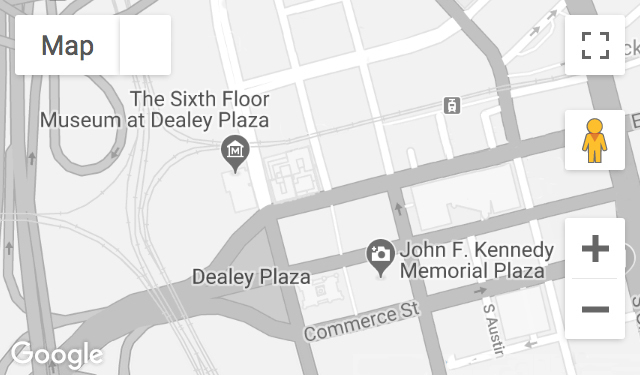 “It is staggering to imagine the meticulous planning and intricate coordination required to ensure all aspects of the funeral came together in less than three days, especially in the midst of such overwhelming national shock and grief,” said Nicola Longford, executive director of The Sixth Floor Museum at Dealey Plaza. As a featured highlight of the exhibit, the Museum will display for the first time fully unfurled, the 15-foot-long flag that flew at half-staff above the Senate Wing of the U.S. Capitol during the 30-day national mourning period. A powerful video that incorporates moving personal accounts from the Museum’s oral history collection, news footage and never-before-seen home movies will provide an intimate and emotionally powerful retrospective of the president’s funeral. In conjunction with Mourning a President, on Wednesday, November 29, 2017, at 11 a.m., the Museum will offer a special public program featuring Major William F. Lee. As a lieutenant in the U.S. Marine Corps in 1963, Major Lee commanded the Silent Drill Platoon at the historic 8th & I Marine Barracks in Washington, D.C. Lee served sentry duty around President John F. Kennedy’s casket in the East Room of the White House and in the U.S. Capitol Rotunda. Author of The Boys in Blue White Dress, Lee will sign copies following the program. The program is free with Museum admission or $10 for program-only admission. Mourning a President is presented with support from the Dallas Tourism Public Improvement District. Admission: $16 Adult, $14 Senior, $13 Youth (children aged 5 and under are free). Entrance to Mourning a President is included with Museum admission.